February 7, 2019 — Growing up wild has its challenges. 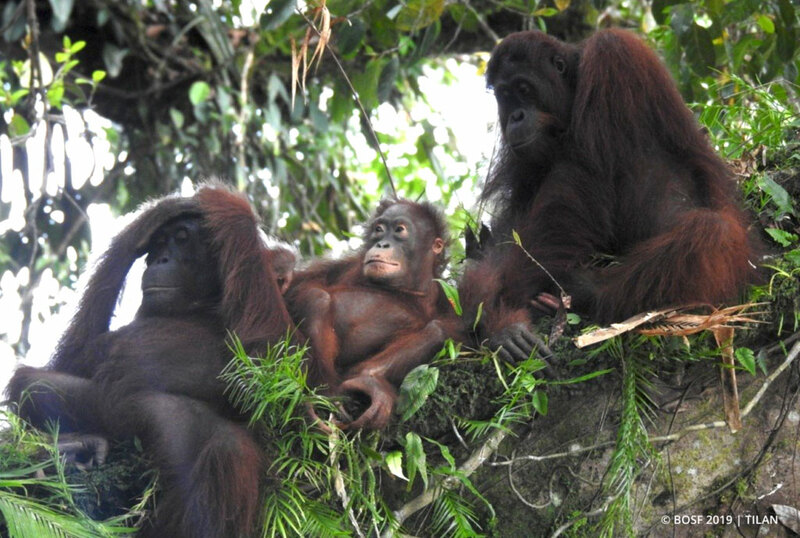 Luckily, young orangutans have dedicated mothers by their sides to show them the ways of the forest, with orangutans holding the record for the longest inter-birth interval of all mammals, including humans. It takes a long time for orangutan babies to learn everything they need to from their mothers; orangutan offspring typically stay with their mothers for 7-8 years before mom moves on to have another baby. This gives orangutan babies plenty of time to learn how to climb, build nests, and seek out all the food the forest has to offer. While this figure is widely recognized by primatologists around the globe, it has been lost on Cindy, a 24-year-old female orangutan and second-time mother. Cindy’s first son, Cilik, was born on January 22, 2007, when Cindy was living on pre-release Kaja Island, Central Kalimantan. Some five-and-a-half years later, on November 12, 2012, Cindy gave birth to her second offspring, daughter Riwut. 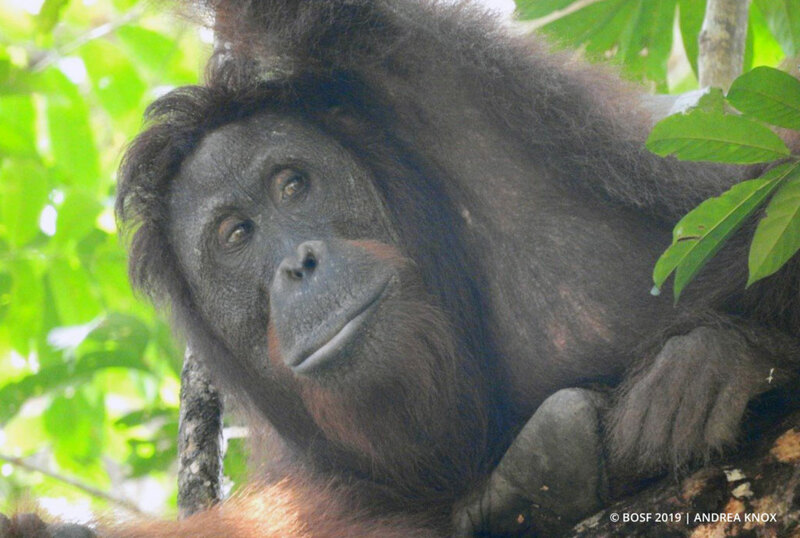 In November 2013, this odd family was released to the Bukit Batikap Protection Forest. 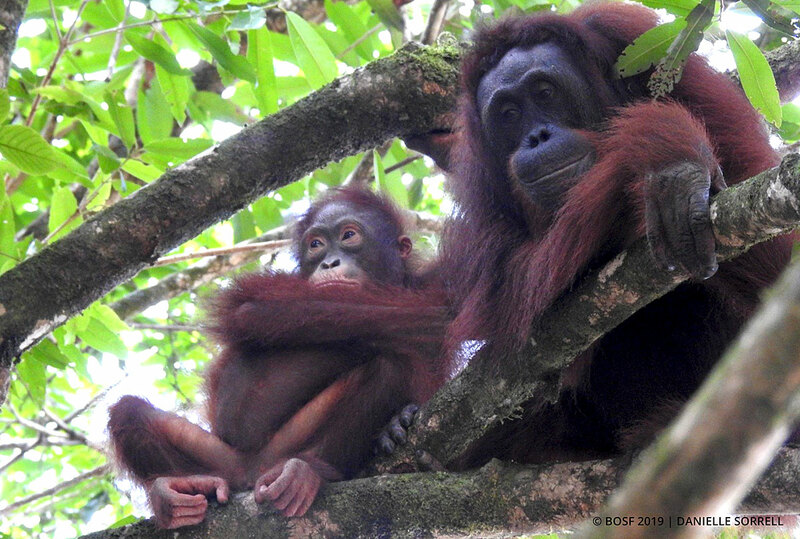 Riwut grew and learned from mother Cindy in this wild forest, with Cilik still visiting his family every now and then to play with his little sister and catch-up with his mother. In June 2018, our Post-Release Monitoring (PRM) team in the Bukit Batikap Protection Forest were observing Cindy and Riwut as they ate sangkuang and bajungan pith, when Cindy laid her eyes on an irresistible young male. Still sporting scars from his fight with a clouded leopard the year prior, a ruggedly handsome Olbert appeared. Cindy was smitten, and by September we could see the first signs that Cindy was pregnant, again! 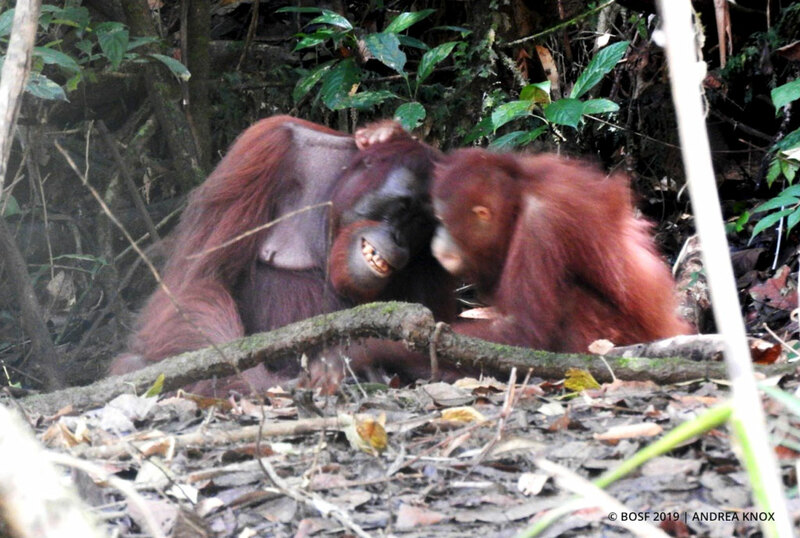 At just six years of age, Riwut is still very needy, and turns to Cindy for comfort whenever she is scared. Surely, she wouldn’t be happy with the news of another sibling on the way! When orangutan mothers give birth to another baby, they instinctively begin to push their older offspring away. While Cindy may not know that she is pregnant, our PRM team has noticed that she is beginning to put space between herself and her daughter. Riwut has most definitely noticed: She has been keeping Cindy at an arms’ length, looking out for her next mood swing. Riwut may not be ready to say goodbye to her mother, but she has already gained enough knowledge and is capable of moving on to live independently, despite her young age. Although Riwut still cries a lot, she already knows how to shred rattan with her teeth, open the toughest of fruits, and seek out succulent termites. Cindy has successfully raised her daughter into adolescence and prepared her well in this short time, making her not only a great mother, but also an outstanding conservationist! 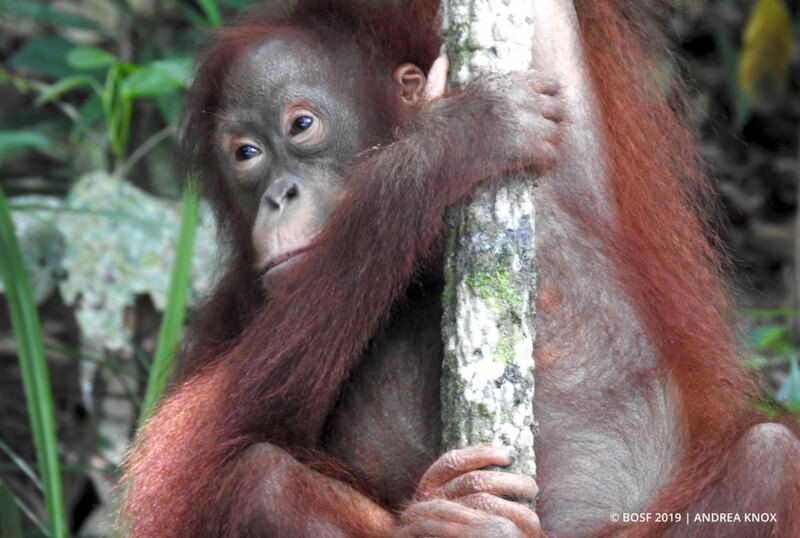 As we patiently await the arrival of Cindy’s third baby, we cannot help but think that maybe Cindy is trying, single-handedly, to save the endangered Bornean orangutan species!